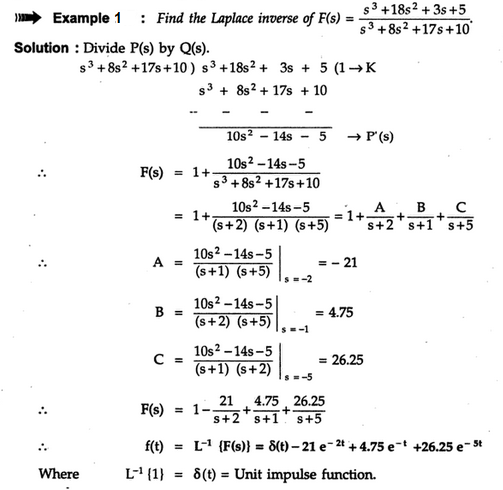 Let us see now if the order of P(s) and Q(s) of the function F(s) is same. In such case P(s) must be divided by Q(s), to obtain the separation of F(s) as a constant term which is result of the division and the remainder polynomial P(s) having order less than Q(s). 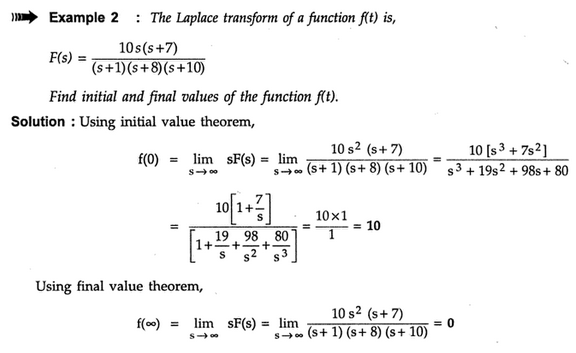 Now Laplace inverse of constant term is impulse function. Refer last pair in the table 1. 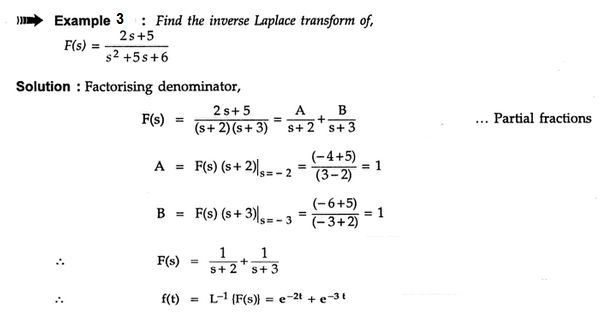 While P(s)/ Q(s) can now be expressed to obtain partial fraction expansion, to get its inverse very easily. Note : the same method is to be applied F(s) with order of numerator polynomial P(s) is greater than denominator polynomial Q(s).